If you are a Sprint subscriber still totin' the LG V20, we have some news that you are going to want to hear about. Starting today, the wireless provider is pushing out an OTA update to the phone that contains Android 8.0 Oreo. The update is version LS99720a and includes build OPR1.170623.032. Besides Android 8.0, the Sprint LG V20 is also receiving the latest Android security patch dated July 1st, 2018. Android 8.0 includes the picture-in-picture feature, which allows users to stream video while still interacting with an app in the background. Notification dots appear on home screen app icons to alert users when a particular app has an unread notification, and the Settings menu has been streamlined. Android 8.0 also allows users to snooze notifications and create Notification Channels. 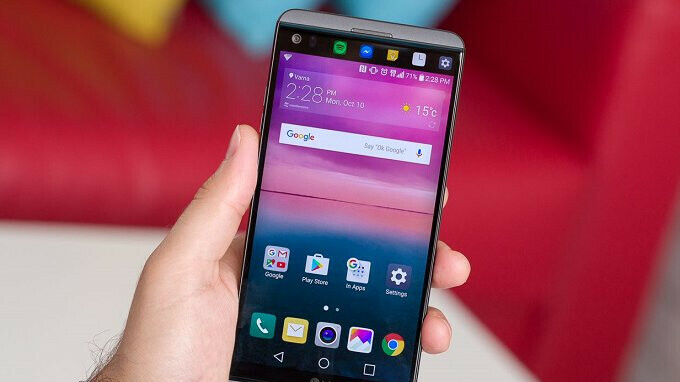 There are many other new features that will become available to the LG V20 once the update is installed. When you receive notification that the software update has hit your LG V20, there are two things you need to do before going ahead with the updating process. First, make sure that your phone is connected to a Wi-Fi signal. After that is completed, charge your battery to 100%. Once both tasks have been done, you can go ahead and start downloading and installing Android Oreo on your Sprint branded handset. I’m at first I thought “wow. A bit early to be shipping Android P” and then I realised it said Oreo. Misleading graphics and an incredibly late update, shame on you and shame on sprint. LG is such an unserious comany. The phone that first shipped with nougat got oreo more than one year after its release. To be seen as meaning business, they should have backed up their claim of being a serious phone/software company. But no, instead, they release 4 flagships a year and they wonder why they are not more desirable. Their leaders are a joke. Say what you want but I love my V20, and don't see going back to Samsung. My son has the S9+ and it is fast, but just don't like the setup or the size of the phone.